Charles Kurzman, “Rightwing Postmodernists,” November 30, 2014. Fifteen years ago, at a conference in Iran, I heard a Malaysian scholar lecture on the compatibility of Islam and science. The West may be taking the lead in science these days, he said, but Muslim societies had the lead a millennium ago, and Malaysia was investing in science and science education to ensure that Muslims would share the lead in the future. Science’s methods and findings were universal, he concluded. This is a familiar trope among Muslim modernists — I’ve collected prominent examples dating back to the nineteenth century in the anthology “Modernist Islam.” I was more intrigued by the dismissive comment of the chair of the panel, a mid-ranking cleric with a government position in the Islamic Republic of Iran: the Malaysian speaker, he said, “clearly hasn’t heard about postmodernism.” The simultaneous translators politely ignored the wisecrack, and the guest lecturer did not seem to catch wind of it. Elsewhere at the conference, hard-line Iranian officials spelled out their alternative vision of “Islamic science,” which they based on the inspiration of the Qur’an rather than Western scientific authorities. I was reminded of the incident recently in a report about Vladislav Surkov, one of the ideologues of Russia’s authoritarianism and an orchestrator of Russia’s annexation of Crimea. 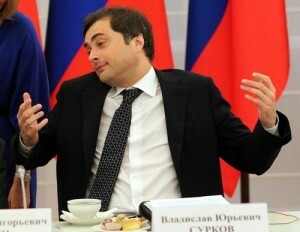 Iranian hardliners are not the only right-wingers to draw on postmodernism; Surkov is also a fan. According to journalist Peter Pomerantsev, Surkov often cites postmodern critiques of grand narratives, then segues seamlessly to his preferred grand narrative of embattled Russian nationalism. A similar move lies at the heart of American Christian creationism. Phillip Johnson, one of the inventors of the biblical theory of “intelligent design,” referred repeatedly to postmodern critiques of science as part of his campaign against evolutionary biology, according to a study by Robert T. Pennock. Science has long faced opposition from cultural conservatives, but the dragooning of postmodernism into this fight is something new under the sun. It is a sophisticated gesture, demonstrating familiarity with the latest trends in academia. But it is also oddly naive — these conservatives seem not to recognize that the shrapnel of postmodernism flies in all directions, puncturing conservative worldviews just as sharply as scientific discourses. The deconstructionist strand of postmodernism, emerging from literary criticism, can be applied to the internal contradictions and ideological agendas of any set of texts, religious or secular. The postmodern wing of the sociology of knowledge can be applied to the social construction of all expertise, including religious expertise. Invoking postmodernism on behalf of sacred causes seems to dare critics to turn the tools of postmodernism against them. Henderson’s rejection of dogma may not extend to science — he doesn’t mock science — but these jabs wield the conservatives’ postmodernism against them. Even when the blowback takes absurdist forms, the underlying skepticism of authoritative knowledge-claims is as serious as it gets. This approach is no recent invention. More than two millennia ago, the philosopher Pyrrho proposed that human fallibility requires a skeptical stance toward all claims about reality — even toward his own claims. When cultural conservatives endorse that sort of radical skepticism, they will have earned their postmodern citations.